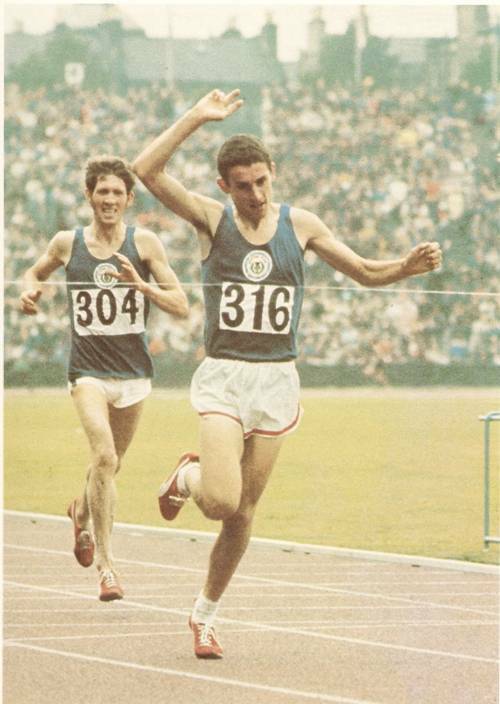 In the photo above, Ian Stewart leads Ian McCafferty over the finish line in the final of the Men’s 5000 metres. 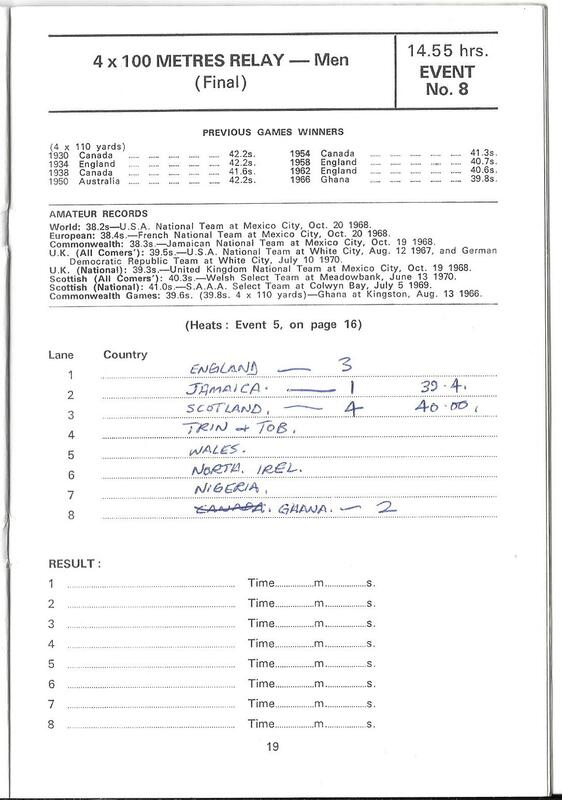 Kip Keino was third. 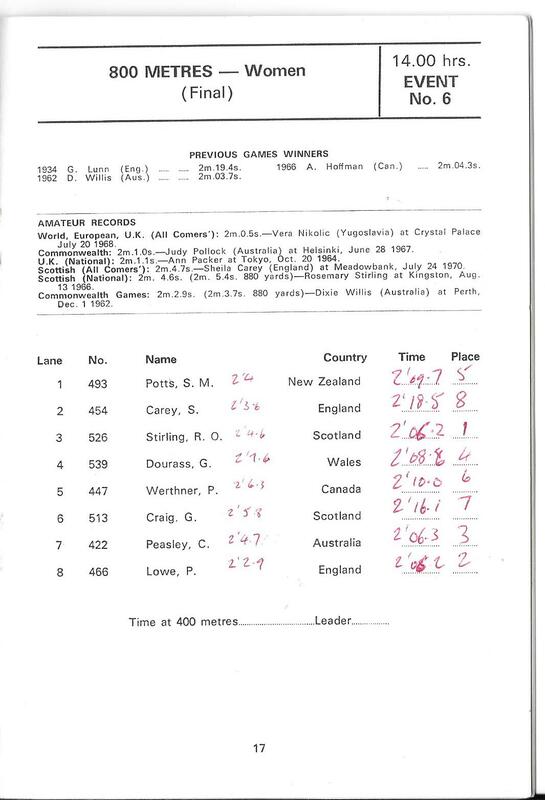 After Lachie won the 10,000 m earlier in the week, and the marathon men did their bit midweek, and temporary Scotsman Peter Stewart picked up a medal in the 1500m, the Rosemary Stirling won the women’s 800m on the last day, this really made the week for Scottish distance runners. 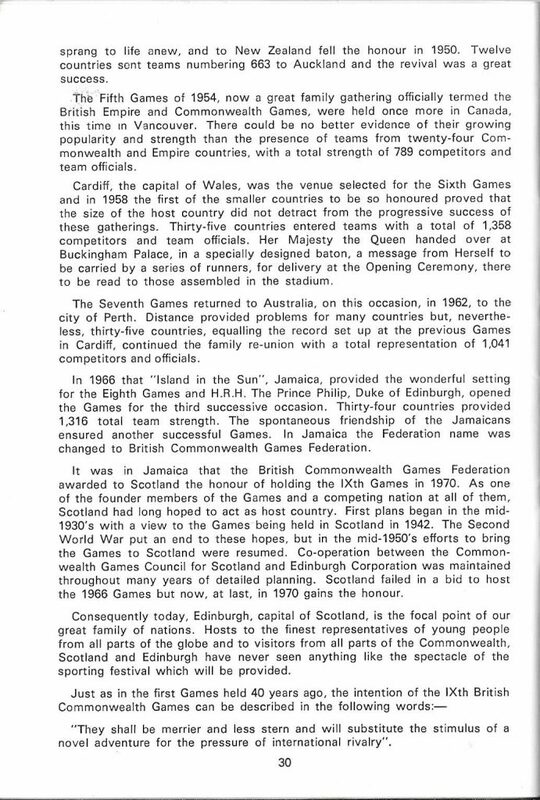 The day itself was a really good one for the Scots and after the marvellous closing ceremony where the protocol really did break down spontaneously (it’s been too staged at events since then, it was the end of a wonderful part which had happened to include a Games of very high standards athletically indeed. 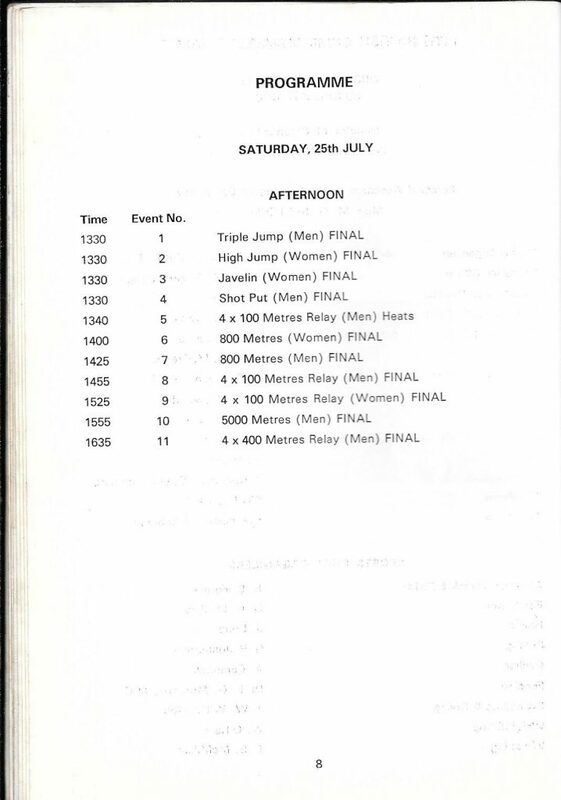 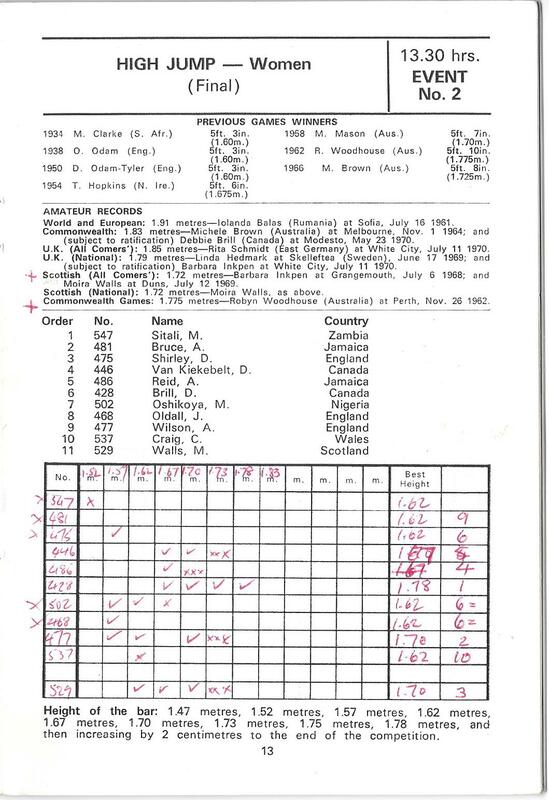 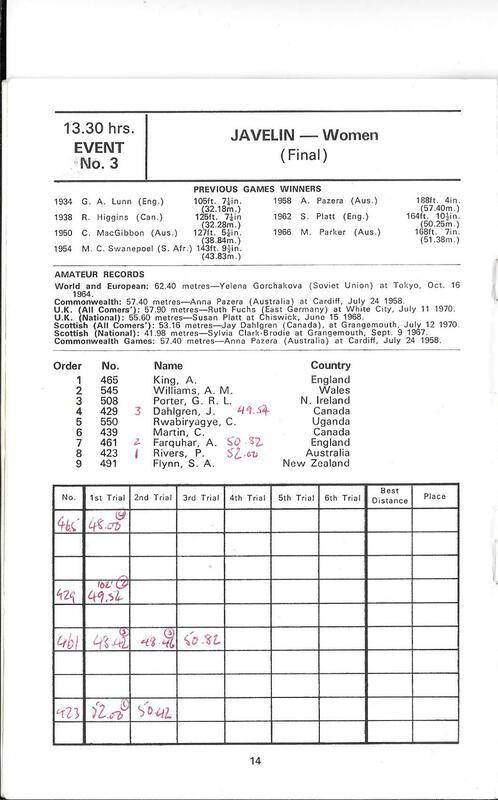 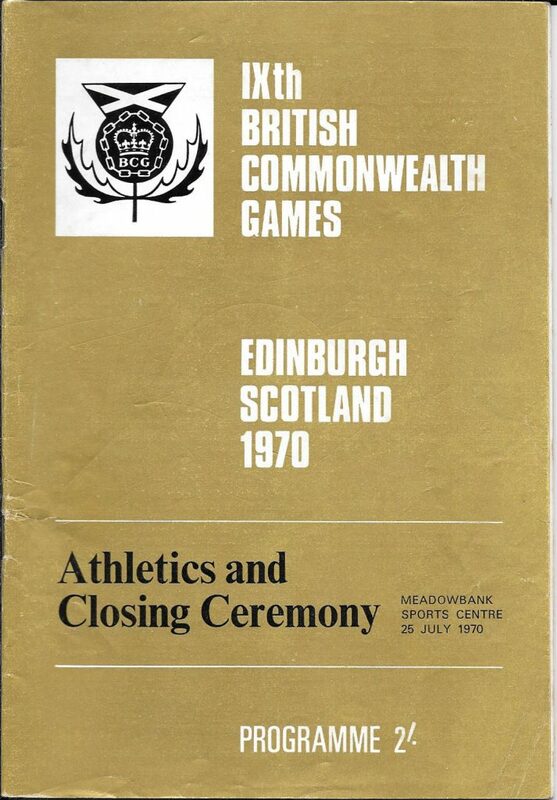 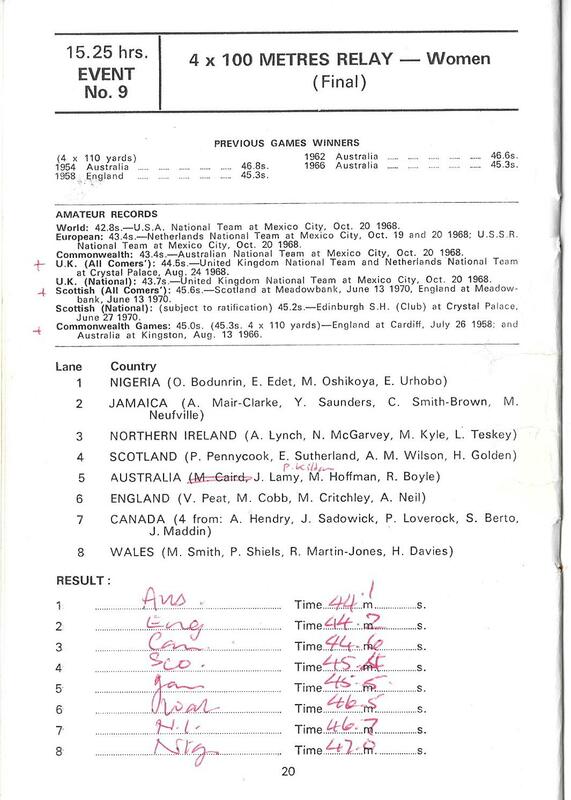 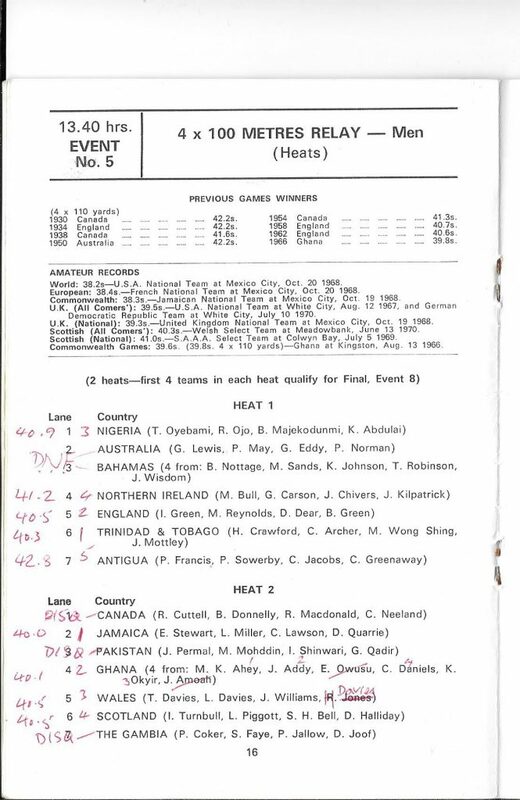 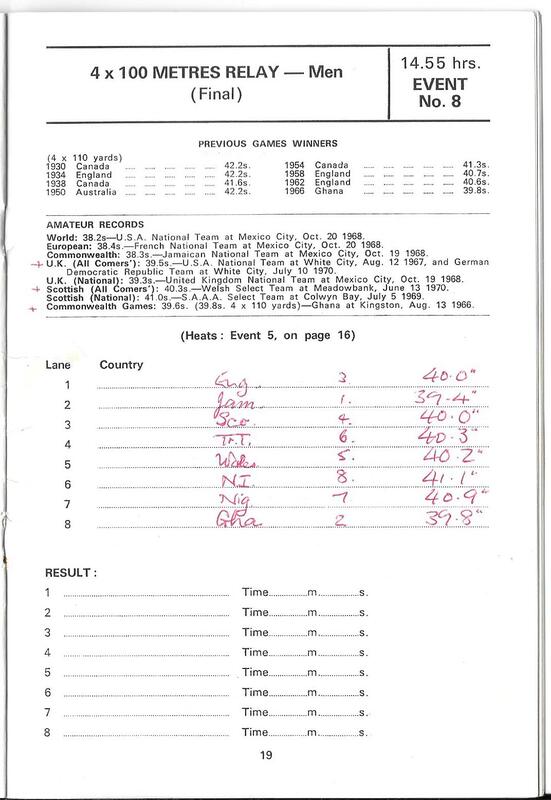 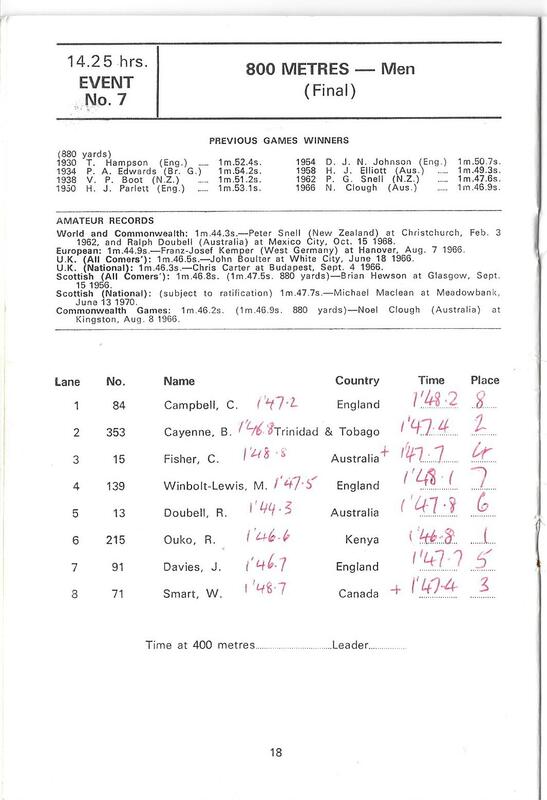 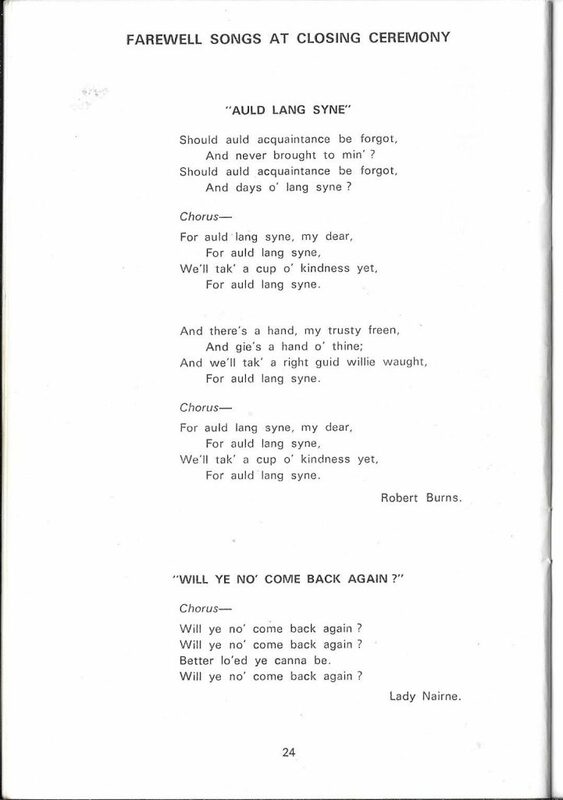 Then there was the closing ceremony: the details were contained in the programme – see this page after the last race – and it was a formal affair as was the custom then. 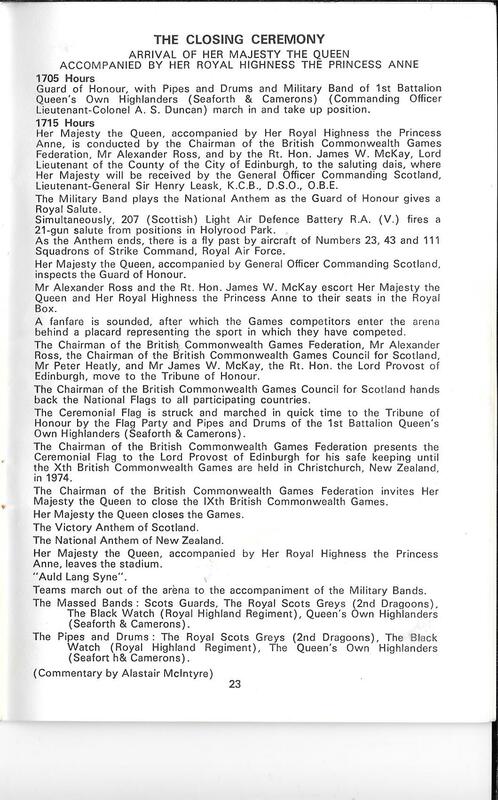 The teams marched in and lined up on the infield, the flag was lowered, folded and given to the representative from New Zealand, a speech or two and then the athletes were supposed to march out in formation. Well, they started to leave in that fashion and then they just broke ranks and the various countries just mixed with each other, they danced, they generally had a good time on their way from the stadium. 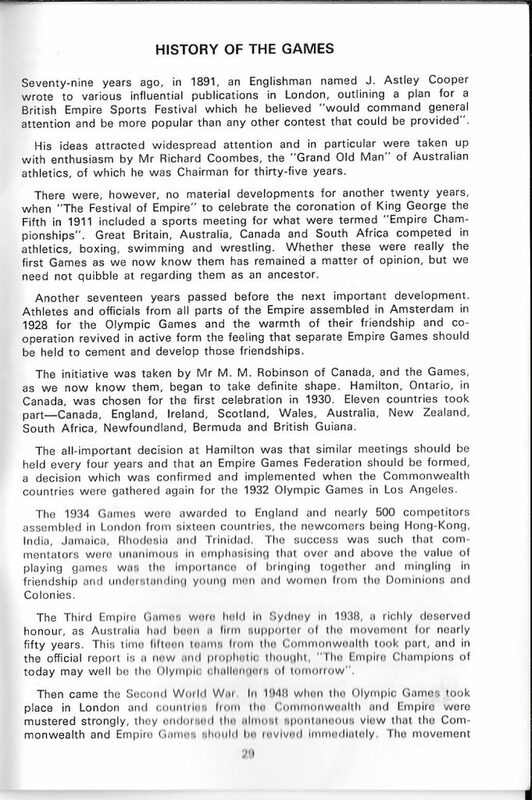 Everyone, including the Royal family was delighted – this breaking of ranks and expression of joy and happiness and friendship was to a large extent what gave the Games the title of The Friendly Games. 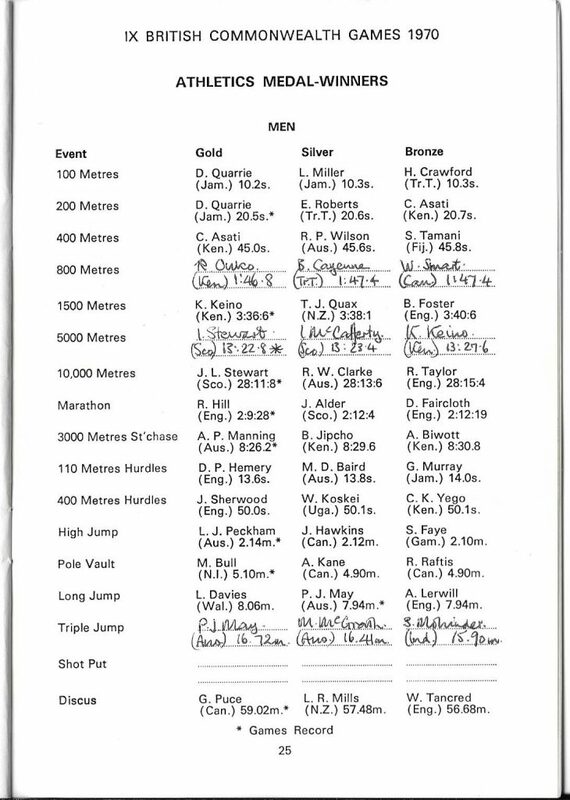 It was a moment that could never ever be replicated. To an extent it was following the formalities that went before but it was a marvellous experience for all who were there on the day. 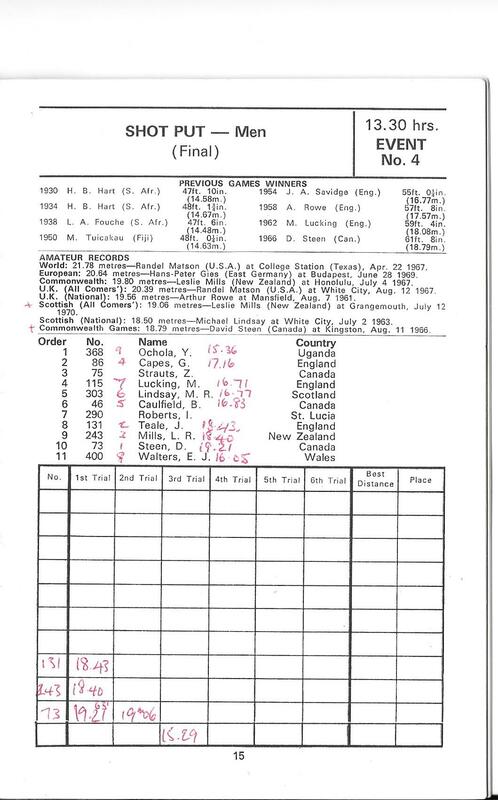 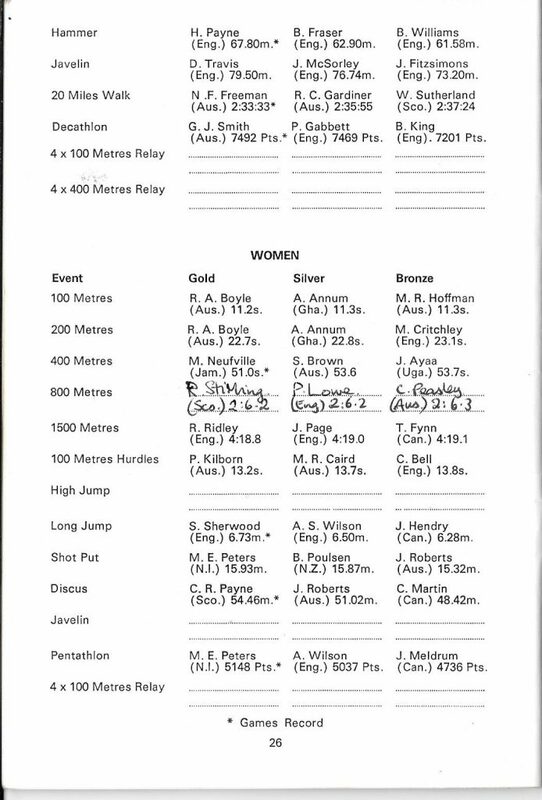 The pages dealing with the formalities are included on this page after the race details.